A video on how to edit your minecraft screenshots using gimp, and hopefully make them look a bit nicer. I'm not an expert when it comes to gimp, but hopefully you will find this useful if you wanted to know how to do basic editing. Hopefully you should be able to make some nice featured images to show off your minecraft creations here on planetminecraft and elsewhere. Found this very helpful! Thanks Lynchyinc. What font did you use for your second picture? How do u make a minecraft logo (REAL) Without white parts or anything? you have earned yourself a subscriber! Nice ! sub+, i wonder what version? and download link ? Being on a mac is like being in a wheelchair with rocket boosters. or its like being a friend of a blind cocky guy. he says it has everything. but all he does is check his mail. well most gamers use pc, little kids use pc, when gamers (not much) and little kids get tricked into a fake download you have more virus's. while apple users don't download so much and use downloads from the app store they get less virus's it's all how you work with your pc or mac. like me i've always used pc and had only 3 virus's in like 6 years. while my little brother had many more because he wasn't carefull. Thanks man, I used it on my projects main page and now it's popular :) A nice front page just attracts people way faster. Youre background... is that a cat with a soviet noodle box? Omg I love your background, I wish I knew where to get it. 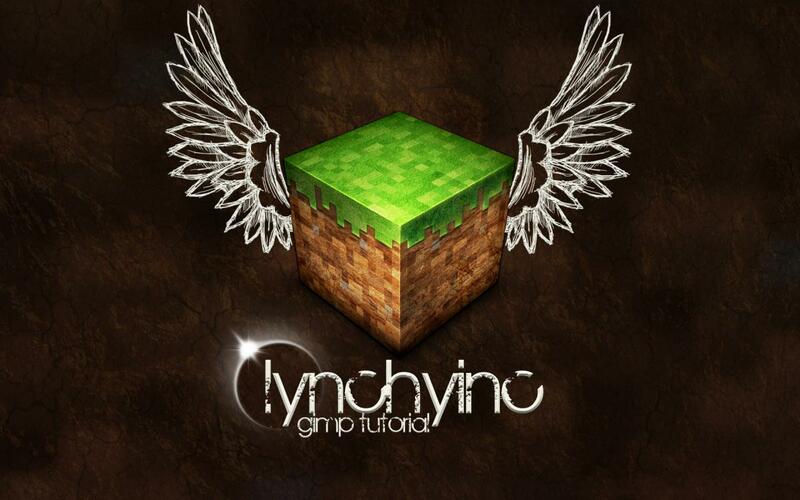 lynchyinc how to you get that picture for your icon? Can you plz make me one??!! The editing works perfectly thanks to your awesome tutorial, but after I edit a .png with gimp, it switches it into a .xcf file, which I can't upload to pmc. I tried renaming it from .xcf to .png/.jpg but it corrupted the file. Ok just found the export button, problem solved. It took me long but i made my Gimp finally work! Can i have a link to doanload the latest version ? And super cool editing ! worth the 10 mins and downloaded gimp! I think that's something much seedier. er... I need a little help first of all. I can't seem to be able to upload more than one picture when posting projects. As in after saving the pic, it loads infinitely, thus not allowing me to upload more pics without clicking on my user name and updating the project. Is there any way to fix this or might it be a internet problem? That's just a general problem with pmc that a lot of people have for some reason. And upload when the site isn't very busy. I love you for using mac and for being awesome! Killing someone without proof? saying "you did this, you die." without any evidence? uhhh........ i do like You, but why choose that name? ...because my second name is Lynch....derp! just wondering do u read chinese cause ur background is in chinese.